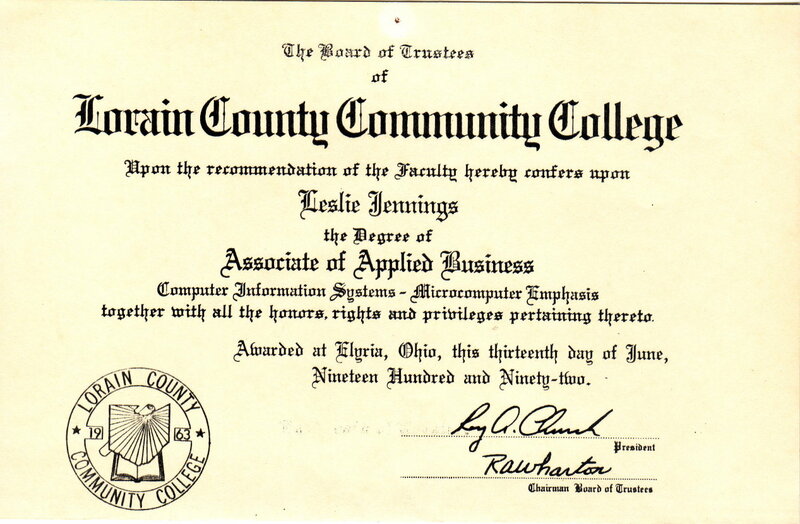 1994 Electronic Servicing Institute, Lorain, Ohio Class Valedictorian. Over 650 hours training in troubleshooting and repair including Computers and Peripherals, Robotics, and Digital Circuitry. 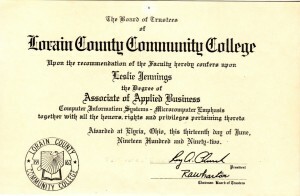 1993 Lorain County Community College, Lorain, Ohio Associates Degree in Computer Information Systems. Computer Information Systems design, implementation, and maintenance.